Microsoft is making good on their promise to deliver live streaming television to the Xbox 360. 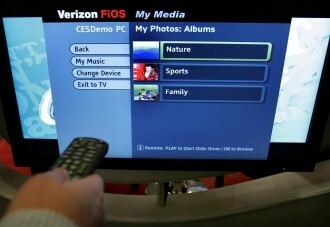 Starting in December, Verizon FiOS customers will be able to stream 26 live channels directly to their gaming console. The news comes courtesy of a Verizon press statement released earlier today. Once live, Verizon customers will need to download a standalone app on the Xbox to access channels. Users will be able to utilize Microsoft’s Kinect accessory to control channel surfing through voice and gesture commands. The 26 channels will be available to all Verizon customers who are subscribed to cable and Internet service through the provider. Users will need an Xbox Live Gold membership as well. It's worth mentioning that since you are required to have Verizon cable service already, you won't actually be getting anything new. It's simply an alternate delivery method for service you already pay for. Microsoft has been working to bring cable television to the Xbox for over a year now, essentially turning the gaming console into a cable box / streaming video service. Today’s deal is the first of what is likely to be other similar deals announced in the near future from other service providers like Comcast and others. New users can take advantage of a limited-time offer which includes FiOS TV, FiOS 35/35 Mbps Internet service and Verizon voice service starting at $89.99. To sweeten the deal, they are also including a free 12-month Gold membership and a copy of Halo: Combat Evolved Anniversary edition. The offer is good through January 21, 2012.